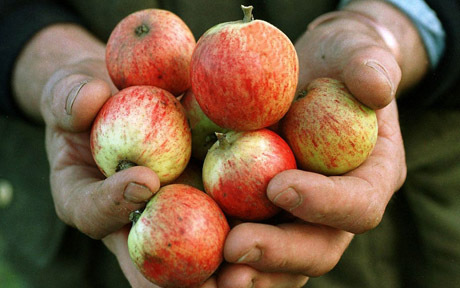 To campaign for a fair system of duty and other government regulations, so that they properly recognise the unique nature, difficulties and costs of producing cider & perry from fresh pressed UK grown apples and pears. To support the liberty from HMRC registration enjoyed by cider & perry micro-producers making less than 70hl of cider or perry a year. To promote the manufacture of cider and perry from the juice of fresh pressed UK grown apples and pears. To establish and maintain a cider and perry Quality Mark that will assist producers in marketing their qualifying products. To provide a forum enabling the exchange of ideas, the updating of information and knowledge and encouraging the discussion of non-commercial matters relating to cider & perry. To promote co-operation between members and with other associations and organizations in which there are mutual interests and benefits. To help consumers choose the products they like, we have developed a National Quality Mark for cider. It is the first of its kind to guarantee a consumer that the cider or perry they by is made to the highest standard with a MINIMUM of 90% fermented fresh juice in the finished cider or perry. You might ask ‘why it isn’t 100% fresh juice?’ Unfortunately, unless a cidermaker is going to hand dry every apple after washing, and wipe dry the inside of every barrel, you couldn’t truthfully say 100%. There are also limits to what can be proven, particularly by small craft products without expensive laboratories, there really isn’t a reliable way to measure the difference between say, 98% and 99%. If our claim wasn’t to be an empty one there needs to be firm evidence to support what is said. So we decided that MINIMUM 90% was an honest claim that we could back up with proof and have a certified Quality Mark that is externally audited to show that this claim in true.